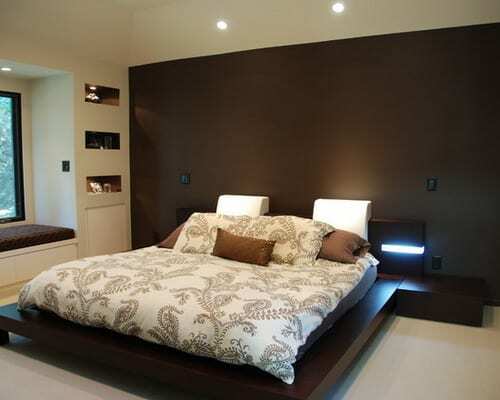 A brown accent wall adds a striking design element to any bedroom. The colors, textures and furnishings you choose for your space should complement your feature wall and enhance the decorating style you’re trying to achieve. Play with an online design program to view a variety of wall colors and furnishings in a template bedroom with a Brown Accent Wall until you discover your favorite decorating scheme. 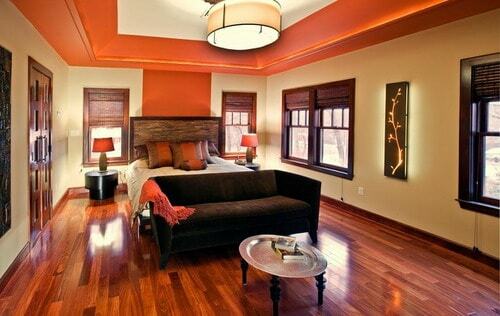 A brown feature wall provides a launching point for almost any color scheme. 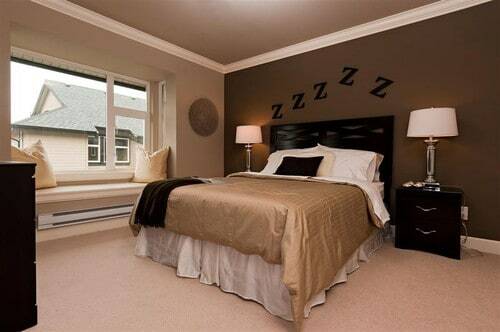 Add neutral hues, such as barely beige and soft white, to your bedroom palette to accentuate the simple, quiet ambiance of a brown accent wall. 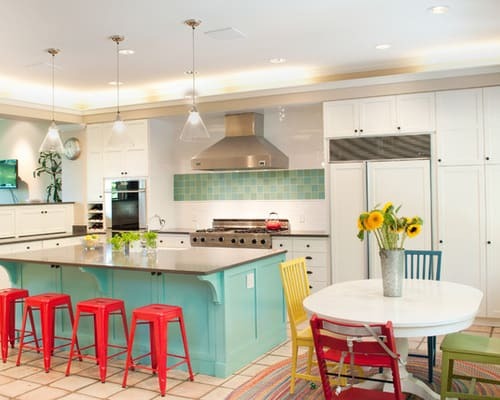 Mix sage green, golden yellow and brick red into your set of colors to infuse a natural, earthy feel. Soft blues and greens work well with brown to offer a soothing atmosphere. Raise the visual temperature by incorporating Tuscan hues — rustic reds, olive greens, rich golds, burnt oranges — into your color mix. 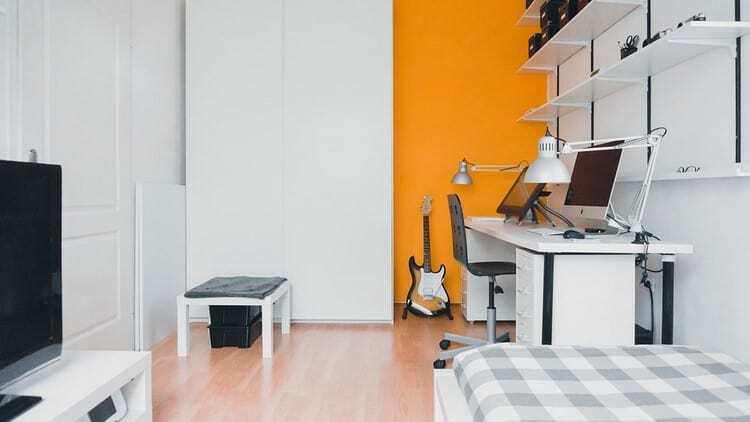 Apply a light-colored paint, such as creamy ivory or soft beige, to the remaining bedroom walls to provide striking color contrast against your brown accent wall. 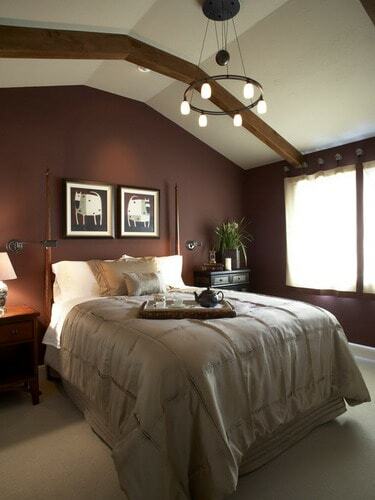 Windows located on a Brown Accent Wall offer plentiful decorating opportunities. For example, bamboo shades installed behind breezy white sheers create a modern, layered look with textural interest to enhance an earthy brown accent for wall. Experience the feel of high-end luxury with draperies in a silky or velvety fabric. Choose a drapery fabric with a contrasting, colorful print, such as lime green florals against a pristine white background, to ramp up the aesthetic appeal of a boring brown wall. White wooden shutters that cover windows surrounded by a dark brown feature wall deliver practical function and aesthetic appeal to suggest simple cottage style. Add sparkle and depth to a brown accent wall with a large mirror to reflect your well-designed space. 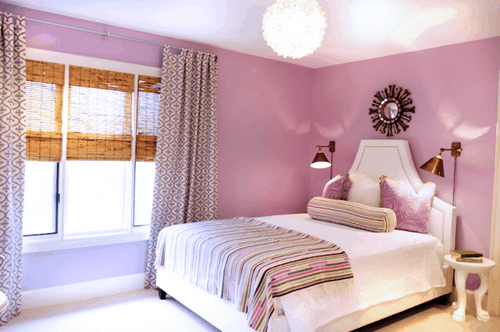 You can instantly energize a bland, brown wall by centering an oversized, brightly colored painting on it. A wall arrangement of your favorite sepia-toned photographs pulls out your accent wall’s brown shades to provide a harmonious appearance with a personal touch. Enhance the outdoorsy feel when you nestle a large potted palm in a bare corner. Outfit your bed with a posh white comforter and fluffy white bed pillows to brighten the darkening effects of a dark brown accent wall. Shiny chrome table lamps and wall sconces provide illumination with a modern sparkle to offset an ordinary, dark-colored wall.